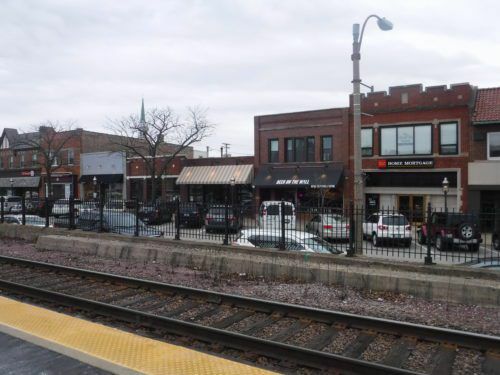 The owner of Beer on the Wall, a “beer cafe” located at 106 Main St, right next to the Uptown Park Ridge Metra Station sought changes to certain types of liquor licenses. On ordinance that would allow certain liquor license holders to sell more wine and beer is advancing to the full city council, even as aldermen expressed concern that it was going too far. As previously reported by the Bugle, Beer on the Wall, a self-described “beer cafe,” asked the city to change the regulation related to liquor licenses with gourmet beverage endorsements. They want to be able to sell chilled beer for off-premises consumption, raise the limits on how much alcohol they can serve on premises and the limits on the volume of flights they can serve. While the aldermen didn’t raise objections when it came up for discussion during the Feb. 27 Procedures and Regulations Committee of the Whole; during the March 27 meeting, some aldermen said they were concerned that, somewhere down the line, this could allow businesses to become de facto taverns – something that the Park Ridge law currently doesn’t allow. But in the end, the resolution cleared the first reading. It appears before the full city council on April 5 for a final vote. During the Feb. 27 meeting, Beer on the Wall owner Ryan Tracy asked the aldermen to increase the cap on the total volume of alcohol from 12 ounces of wine and 24 ounces of beer to 24 ounces of wine and 48 ounces of beer. For flights of alcohol, he asked to increase the caps from six ounces for wine and 12 ounces for beer to 12 ounces for wine and 16 ounces for beer. He also asked for permission to sell chilled beers to Metra riders, saying that “train beers” have been popular with his customers. 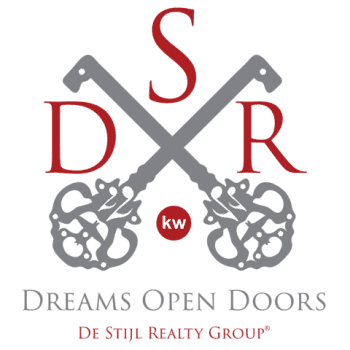 READ Revisit Your Listing’s Curb Appeal: Have You Done Enough? The only other business that would be affected by the changes is the WineStyles boutique. During the Feb. 27 meeting, owner Emily Wilderman said that she had no objections. During the March 27 meeting, a number of Beer on the Wall customers came to speak in support of the ordinance. Demi Houpt said that she and her husband recently moved to Park Ridge from Milwaukee, and Beer on the Wall has been a great place to meet friends. “Beer on the Wall has been very conducive to conversations,” she said, saying that increasing the caps would let them hang out longer. Ald. John Moran (1st Ward) said he didn’t see a problem with allowing customers to take cold beers with them, and he didn’t see any point in capping flights at all, but he had an issue with increasing the caps on total volume of alcohol. Moran said that he wasn’t concerned about Beer on the Wall or WineStyles. He was simply worried that another, less scrupulous license holder may use the license to create something that would be a bar in practice. Ald. Richard Van Roeyen (3rd Ward) used the visual of three water bottles to show that he didn’t believe that increasing the beer minimum to 48 ounces would be that drastic. And he said he didn’t imagine that particular license type would see a lot of demand. “I’d like to support the business owner and their willingness to [take a financial risk] to try to be successful,” he said. Ald. Roger Shubert (4th Ward) said that he sympathized with businesses that built full-service kitchens in order to be able to sell alcohol, so he proposed a compromise – increasing the wine cap to 18 ounces and the beer cap to 36 ounces. Tracy took a dim view of the idea. Ald. Charlie Melidosian (5th Ward) said that he originally had similar concerns as Moran, but his position softened during the meetin. “I see anumber of people lobbying for 48 ounces, and I don’t see anyone speaking out against it,” he mused. “I am concerned that we’re slow-walking toward a tavern license,” he said. Shubert proposed an amendment to change the limit to his compromise. But with Ald. Nicholas Milissis (2nd Ward) absent, the aldermen found themselves deadlocked 3-3, and the amendment failed. Melidosian took an unusual step of moving to have the vote trifurcated, so that the aldermen vote on each part of the ordinance separately. The cold beer provision wound up being approved 4-2, with Shubert and Mazzuca voting against. The change in the flights cap was approved unanimously, and the increase in the overall caps was approved 5-1, with Mazzuca casting the sole ‘no’ vote. This sent the resolution to the City Council for second and final reading. The vote is scheduled to be considered during the April 5 meeting – which took place after this issue’s print deadline.